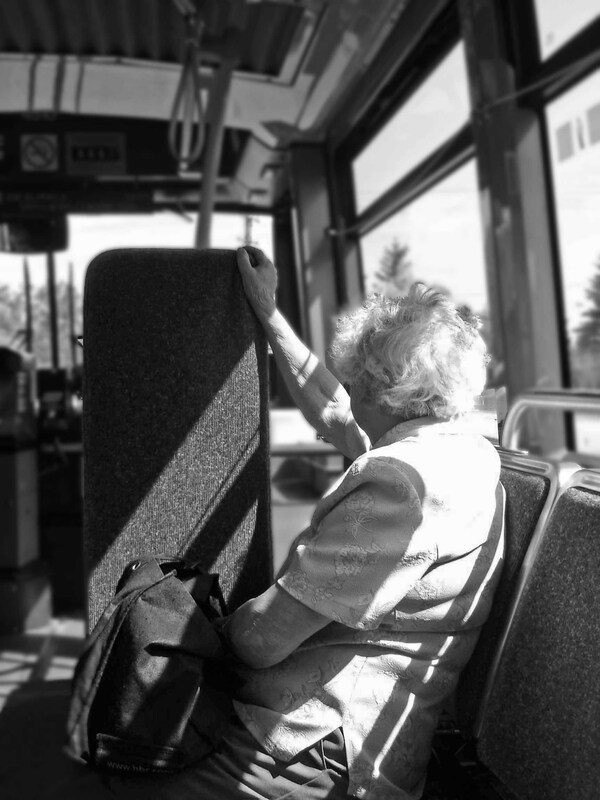 This week the photo challenge is all about people and the things they do every day: working, eating, drinking, chatting, dreaming, walking, exercising …This photo was taken in Ottawa, Ontario – originally in colour I converted it to black and white … riding the bus is usually a very black and white, mundane experience … unless one of your fellow passengers is a 6′ 2″ lady carrying a live 6′ Christmas tree and saying ‘scuse me, ‘scuse me, ‘scuse me … true story. Okay, everyday is truly working, eating, drinking, chatting, dreaming, walking, exercising. But your picture is timeless. Very well done. Nice job. Thank you so much for your comment, Albadr. I appreciate it. Thank you for that – it was such a quick shot too. I can feel the fabric on the seats and love the posture of the old lady! I hadn’t ridden on the bus for quite a time – I was out and abouting with my daughter and granddaughter and rather enjoyed it – daughter knew where we were going and I just got on and off as instructed. Yes, I thought so too – thanks, Pommepal. my everyday routine to work! The light makes this an excellent black and white shot! Thanks, Gilly – appreciate that.